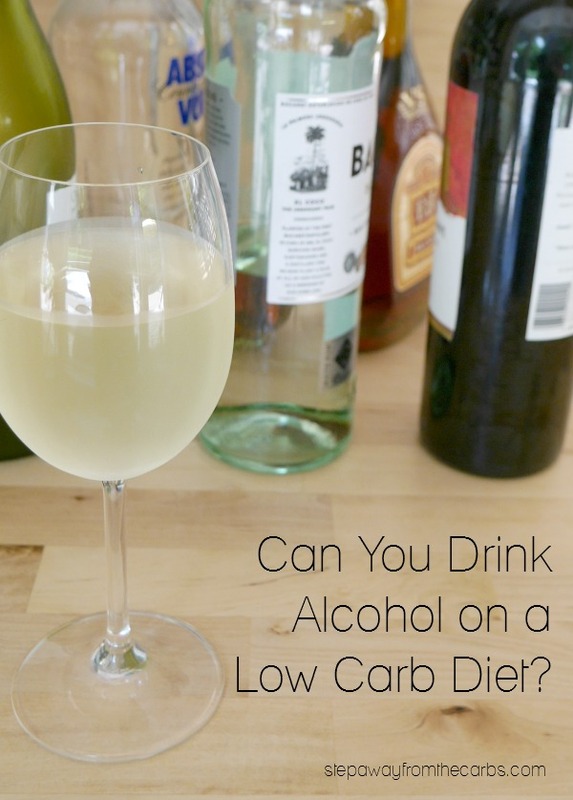 If you’ve ever wondered whether you can drink alcohol on a low carb diet, here’s the information that you need! Because it depends on two factors. WHAT you drink is the main one. Keep reading to find out which are the best types of drink for a low carb diet. The other factor is self-control. In the book that got me started on my low-carbing path, the “Idiot Proof Diet“, their rule was no alcohol at all in the first two weeks. “Spirits may be carb-free, but when there is alcohol present in your system, your body will burn it for fuel first… there is always the danger of having one drink too many… and acting on that slightly drunken impulse to eat a bag of chips”. However, after two weeks, alcoholic drinks such as dry white wine, red wine, and champagne are acceptable, as are ‘clean’ spirits such as gin, vodka, rum and whisky. They also recommend to alternate glasses of water with each alcoholic drink to help stay hydrated. 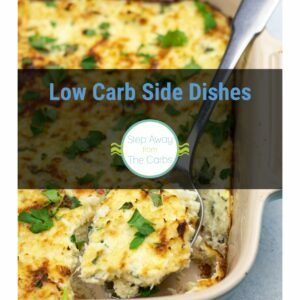 The low carb diet that you follow may have different rules and recommendations, but this is a great starting point. If you feel like you can keep your self-control after a drink or two, then enjoy it! If you feel like you might cave in and cheat with a fat wedge of pizza – you probably should go easy on the alcohol. So let’s talk about the carbohydrate content of different alcoholic drinks. As mentioned above, most spirits do not contain any carbs and are super easy to mix with diet tonic or soda – like this low carb gin and tonic! Dry white wine, red wine and champagne is next – they contain a few carbs but won’t completely mess up your diet. After that, it becomes quite a minefield. Liqueurs like Amaretto or Bailey’s are laden with sugar. Beer and hard cider are high in carbs and most fruit cocktails are a complete disaster area! However, if you DO fancy an occasional beer, check out this list of low carb beers from All Natural Ideas! Also, if fruity cocktails are your weakness, try this delicious low carb watermelon cocktail! 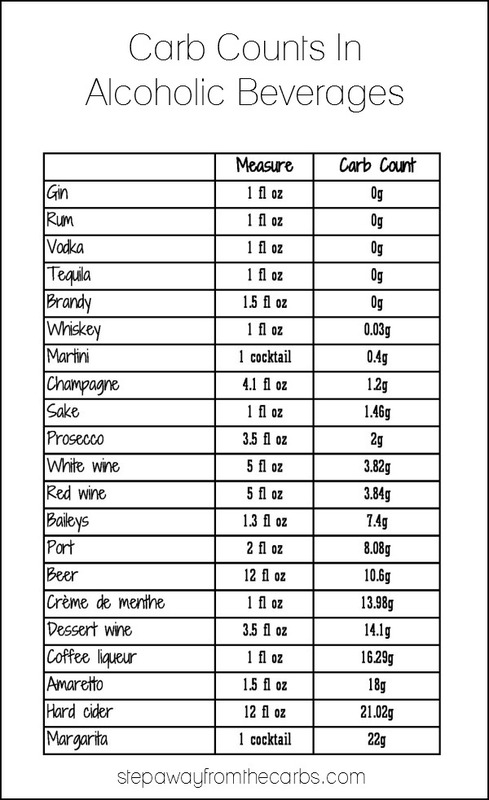 Using information from the USDA, I put together this table showing you a selection of different alcohols, and the carb count of each item. Look at that margarita! 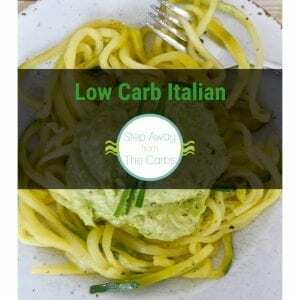 I’d recommend my low carb version instead! I hope you have found this helpful. Any questions – post them below! Oh and if you’re looking for low carb wine, check out my review of Dry Farm Wines – every bottle is less than 1g net carb per liter! The only problem I have found with using low carb tonic is that it contains aspartame. Personally I would avoid this and so just have soda water instead.